The Greenville Zoo will present its next conservation lecture this Wednesday, April 17 at 7 p.m. at The Children’s Museum of the Upstate (300 College Street). Guest speaker Ian Singleton, Ph.D., director of the Sumatran Orangutan Conservation Programme (SOCP), will discuss Sumatran orangutan conservation. As the foremost authority on the status and distribution of remaining wild Sumatran orangutans, SOCP is a key player in the battle to save the species and its remaining forest habitat. 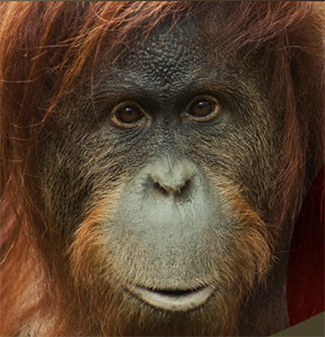 The mission of SOCP is to save and protect captive and wild Sumatran and Tapanuli orangutans and their rainforest habitat through science-based conservation, as well as establishing new wild populations, advocacy, education and awareness building. Since its launch, SOCP has brought over 360 injured or disabled orangutans into its quarantine center and has reintroduced more than 270 orangutans into their natural environment. According to Dr. Nikolay Kapustin, deputy zoo administrator and veterinarian, SOCP received a financial contribution from the Greenville Zoo in 2017 through the Quarters for Conservation program, which allows zoo guests to vote for the conservation project that inspires them. Additionally, SOCP received a financial contribution from the Greenville Zoo’s naming contest for Adira, the baby orangutan who was born in August. The Greenville Zoo’s Conservation Lecture Series is free and open to the public and the subject matter is appropriate for the entire family. While not required, attendees are asked to pre-register online if possible. Free parking is available at the Heritage Green parking deck. Attendees should use the museum’s side entrance off of Academy Street.